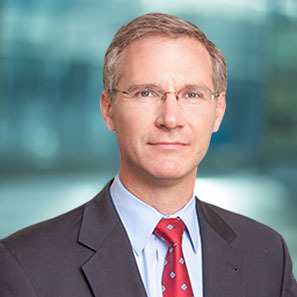 Warren Kampf, former Litigation Counsel, has joined the Hospital and Healthsystem Association of Pennsylvania as Senior Vice President of Advocacy and External Affairs, effective April 1, 2019. In his new role, Warren will oversee the association’s legislative advocacy and communications teams, leading work to communicate the hospital community’s value and priorities to state and national policymakers, stakeholders, and Pennsylvania’s families. Warren spent more than 20 years at White and Williams as Partner and Counsel, representing a variety of clients in construction defect, personal injury, premises liability and property damage litigation. Prior to entering private practice, Warren served as a public defender in Chester County, a deputy prosecutor in the York County District Attorney’s Office, and an Assistant District Attorney for Philadelphia County. He holds a BA from Yale University and a JD from Emory University School of Law. In November 2010, Warren was elected to serve as a State Representative in the Pennsylvania House of Representatives, 157th District, which covers part of Chester and Montgomery Counties. During his four terms, Warren served on a number of legislative committees, including Appropriations, Consumer Affairs, Insurance and Liquor Control. The Hospital and Healthsystem Association of Pennsylvania (HAP) is the leading voice for the health and well-being of Pennsylvanians. Its member hospitals and health systems provide health services across the continuum of care. They are collectively committed to helping Pennsylvania improve health outcomes and provide cost-effective care. HAP has strong relationships with state and federal officials and a broad spectrum of stakeholders committed to achieving a healthy Pennsylvania.